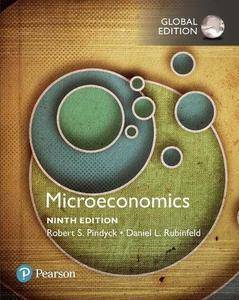 Microeconomics exposes students to topics that play a central role in microeconomics. From game theory and competitive strategy, to the roles of uncertainty and information, and the analysis of pricing by firms with market power, the text helps students understand what’s going on in the world of business. It also shows students how microeconomics can be used as a practical tool for decision-making and for designing and understanding public policy. 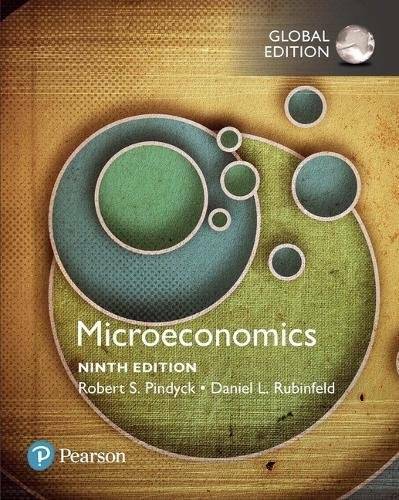 The 9th Edition further illustrates microeconomics’ relevance and usefulness with new coverage and examples, and an improved exposition that is clear and accessible as well as lively and engaging. With Microeconomics, readers will be able to fully appreciate how a modern economy functions. This package includes MyLabTM Economics, an online homework, tutorial, and assessment program designed to work with this text to personalize learning and improve results. With a wide range of interactive, engaging, and assignable activities, students are encouraged to actively learn and retain tough course concepts.